If you’re on the road, cleaning the house, or out in the garden you still need to read a book right? 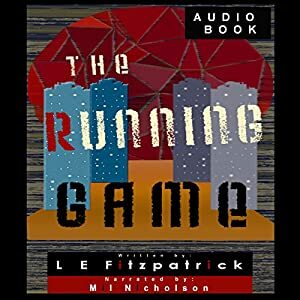 Well now you can download The Running Game as an Audio book. 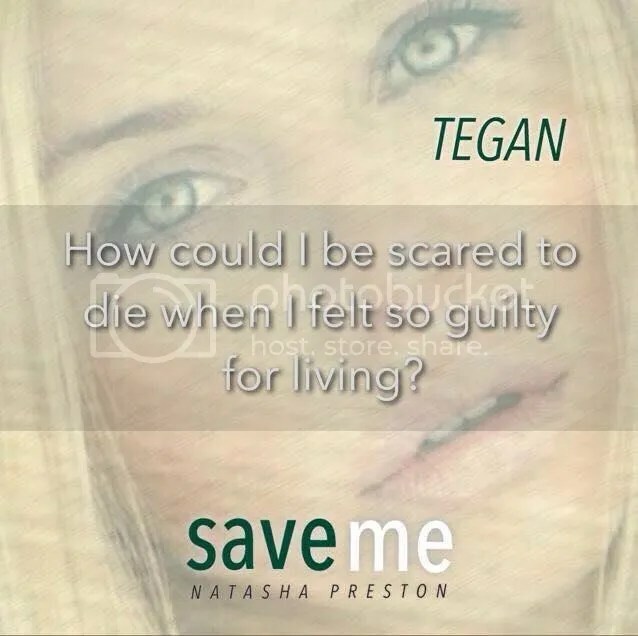 Check out the sample and listen to the wonderful Mil Nicholson as she narrates my paranormal thriller. 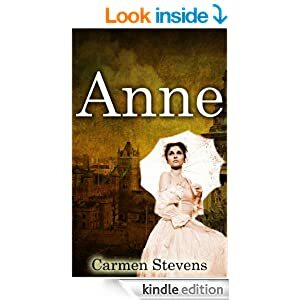 I’ve been speaking to author Carmen Stevens who has been telling me about her historical drama Anne. Anne is set in 18th Century London, one of my favourite periods in history, can you tell us about this time and in particular about the setting for the book? I really like this period in English history as well. I myself love England, although I haven’t been there yet. I’m especially fascinated with its history. I’ve also researched England and its history thoroughly, especially for the background of my novel. And from what my research has revealed to me, I believe that 18th century England was either a great time or a bad time depending on one’s social class. If you were first or second class, I imagine that life was pretty good and others treated you with favor and respect. However, if you were third class, I imagine that life was pretty difficult. I have reason to believe that many poor people were homeless or almost homeless during this time, begged for food from those who were better off, and resided in the dirty slums of big cities like London. And this setting is exactly where my titular character, Anne, finds herself in the beginning of the story. By the time she’s twelve years of age, Anne is homeless and alone on the dark side of London, in the slums. Her mother had died giving birth to her, and because of this loss, her father became insane, hated Anne, and treated her violently. When Anne is twelve years old, her father, an alcoholic, kills himself by burning down their home, and Anne is immediately homeless, poor, and alone. Anne is the star of your novel, she seems a wilful young woman, can you tell us more about her? Fourteen-year old Anne Falkman had beheld this all through eyes that esteemed the dire need to be firm and strong, haughty and traitorous. She had always espied the world with beautiful eyes that betrayed their attractiveness but clung fast to life itself and the hope for joy that such a thing as fate could someday bring her. Anne knew this hope by it growing within her like a tree, and the longer that she forgot about it, when she felt it prick her heart again it had grown taller. She had acquired the seed of this hope through the only years of her life that she had ever known, the most unbearable, heart-wrenching years that no one so young should ever have the curse to possess. They were years that had tested her natural endurance and inner strength, but with poor end results. The compassion and kindness born into her had come to terminate long ago as such characteristics had lost their true shine as the conditions of her tragic life had gripped a sick hold onto them. Never was the girl smiling kind thoughts and words to the passersby on the streets and contemplating compassion for the weeping, but why should she? No one had ever really smiled and sent kind, sympathetic thoughts and words her way through the crude journey that fate had propelled her into. No one had ever really stopped to direct their attention to the neglect that was hers every day of her life. Thus, Anne possessed the knowledge that there was no one in the world who she could trust. She had contracted a vulnerable heart that was, in addition to all of the other negative traits that her personality had taken, sensitive not to offensive words and actions but rather to the uncommon airs of ego and vanity. Daily she paid ignorance and rejection toward many and indifference toward all. She had learned to live in no other way than this, and to only keep watch on herself and the sacred will to live for a life that was to bring her happiness and reason. As a historical character what can modern women take from a woman like Anne? Well like I said, Anne is a tough cookie. Even though she’s egocentric and potentially cruel, even, she’s strong, willful, and doesn’t lose sight of her dreams. I think that modern women can really admire these traits in Anne, and learn not to lose sight of their dreams as well. Is this a story influenced by the classics and if so what books could you liken Anne to? I was greatly influenced by Charles Dickens while planning out and writing this book. I’d read a couple of his novels before even thinking of writing a book. These two novels were “Great Expectations” and “Oliver Twist”. In the former book, the protagonist Pip has a humble life and dreams of becoming a gentleman. He also falls in love with the cruel woman Estella, and I definitely believe that Anne was formed from the character Estella’s negative influence. As for “Oliver Twist”, Oliver goes through many hardships himself before attaining a better life. I think I definitely took something from this book as well in forming my novel. Aside from Anne herself, who are the other dominant characters in the book and what are they to Anne? My novel has a great many characters in the forty-some years that it covers. There’s George, a young man who befriends Anne when they’re children and develops feelings for her, but Anne, though she superficially cares for him, is cruel to him and pushes him away. Rad is another young man who falls for Anne, but Anne, though she reciprocates his feelings at least a little bit, cares more for herself and turns her back on him. Madame Button is a malicious French woman who hates Anne for a reason that’s not revealed to readers until a bit later, and tries to ruin her life. Anne fears her greatly. Guinevere is another young woman who comes across Anne and forms a strong friendship with her; Anne loves her just as much. Anne also bears three children: Henry, who is Anne’s foil, a very strong person who also endures much, Lucifer, a very shy, troubled boy with inner demons, and Grace, a spunky, passionate girl who loves Anne dearly and longs to protect her from a certain person. Anne loves both of her boys, but Grace she is afraid of because of a certain incident that happened before Grace was born. These characters are just a few of the many more that my novel contains. Is there a particular scene you could share with us? 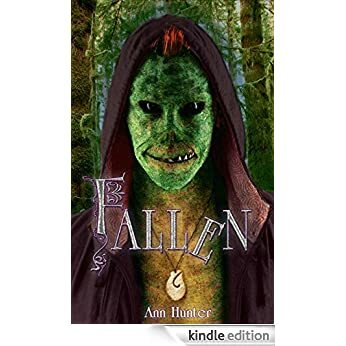 Anne’s father had been named William Falkman. He had been a common man of low station when he had fallen in love with an Elizabeth McFarkley, a beautiful, loving young woman of first-class society. She had likewise fallen for William, but was constantly harped upon by her egotist, persistent parents, who always insisted that a daughter like theirs was not about to be united with such a “common boy”. William and Elizabeth, however, loved each other too much to know any kind of negativity, and when the verbal harassing of Elizabeth about her love affairs came to a sufficient point, the two lovers finally decided to escape from such pressure, and elope. Elizabeth especially had treasured such an idea, as the love that she had had for William was far greater than was the love that she had possessed for her parents and their constant injustices. Eloping was a bad decision. The sweet and naive Elizabeth never imagined that her own family would break ties with her because of her personal wants and dreams, but that was exactly what had happened. Elizabeth McFarkley, the gorgeous daughter of a wealthy politician, had made the choice to marry a man of much inferiority, and the consequence was the cessation of any further communication between her family and herself. When the surrounding areas became informed of such a consequence, they were heartily surprised to learn of how indifferent Elizabeth continued to act, in spite of such shame. This was because she finally had what she had always ached and prayed for-the perfect man to be her husband, and there was absolutely nothing in the world that could bring her down. Others did not know this, though, and they talked about Elizabeth secretly amongst themselves, calling her a “thankless, shameful braggart”. No matter the cold, vulgar thoughts and feelings of these members of society that Elizabeth had grown up with, she and William, after marrying, decided to purchase a large, luxurious house near London. The home was bought with the sale of a number of quaint items that Elizabeth had run away with. As inconvenient as it had been for Elizabeth to run off with such special belongings, she had loved them too much to leave them behind, and furthermore, her intelligence had prompted her to bring them along directly after she had made the decision to elope with William. She had had a certain instinct that had told her that the money produced from the selling of those objects would prove to add up to a sufficient amount of money. As companionable as this house had been for the star-crossed lovers back then, it was the same house that Anne violently abhorred with a fierce retribution that coursed wildly throughout her being, as it had been the nightmare of hell for her, hell produced by the purest paternal abuse of every kind. According to Madame Button, Anne’s parents had had a flawless first year of marriage, but Anne had already guessed that. She was well aware of the ugly life that she lived and wondered how a person like she, with a pain-filled life, could otherwise have come into the world but with sufficient pain on the part of her parents. Indeed, the story thus continued. William had not been able to find a doctor in the time before Elizabeth had gone into labor with Anne, even as he had run through the whole of London on the foaming back of a horse. His youthful heart had been filled with terror for his poor wife, who had been screaming and crying in utter anguish for hours from her labor pains. He feared that Elizabeth was too frail to give birth to a child, and those fears were only to be confirmed a couple of hours after William had returned from his harried journey with no success whatsoever. When midnight struck on that chilly night of April 4, 1754 Elizabeth did, with tears and trembles harassing her delicate body, give birth to Anne. The child, if anything, had appeared to be even healthier than her mother. William had performed the whole delivery of the infant on his own, vacant of the availability of a doctor, or even a midwife. He had certainly performed his best, considering how difficult it had been for him to ignore his wife’s continuum of heart-breaking screams and sobs. They had shattered parts of his heart and perhaps his composition as well, had he not forced himself to concentrate on every particular event that was folding out before his eyes. When William had returned to Elizabeth after cleansing the baby, he happily announced what gender it was. When she heard that she had given birth to a daughter, Elizabeth smiled laboriously, and then, extending a shaking hand to rest it lightly upon her girl’s head, she turned with tear-filled eyes to her husband, stretching another difficult smile upon her destroyed face. She then began to speak, so quietly at first that William could scarcely hear her. Her last words said, Elizabeth fell instantly against the pillows, throwing a wild look all around her, as if she knew that William would break after she was gone. Plump tears once again began to fall before she slowly sank down into the bed in death. With his great love gone, William screamed a terrible yell of complete agony. My favorite part regards the very last scene of the novel, which is quite powerful, I think. It’s also thought-provoking. I won’t say anything else about it because I don’t want to spoil anything, but I recommend people to read this novel and find out what exactly this scene is about. And finally what is next for Carmen Stevens? Right now I’m simply focusing on promoting my novel, though I may write another book in the future. But I try to set aside at least a few hours a week for promoting. I work hard every week and I hope for the best. You can download Anne from Amazon now. 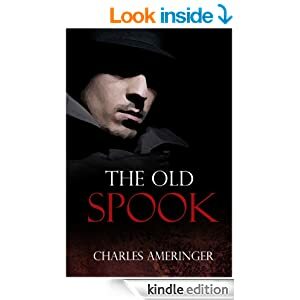 The spy/thriller The Old Spook is a roman a clef story about a fictional CIA special operations officer (Tom Miller) that takes the reader on a journey of adventure and intrigue during the Cold War. The novel begins with Miller reflecting on his 26-year career of spookery (1951-1977), during which he collaborated with rebel chieftains in Cuba, Nicaragua, and Bolivia; plotted the assassination of Fidel Castro with Mafia dons in Miami; and matched wits with KGB agents in Mexico and Chile. Forced to retire owing to the reduction in force (RIF) of the CIA’s clandestine services in the wake of revelations of CIA “dirty tricks” during the Nixon administration, Miller retreats to his hometown Milwaukee. But wait! Not ready to call it quits, he draws on his spying skills to set up a one-man detective agency. 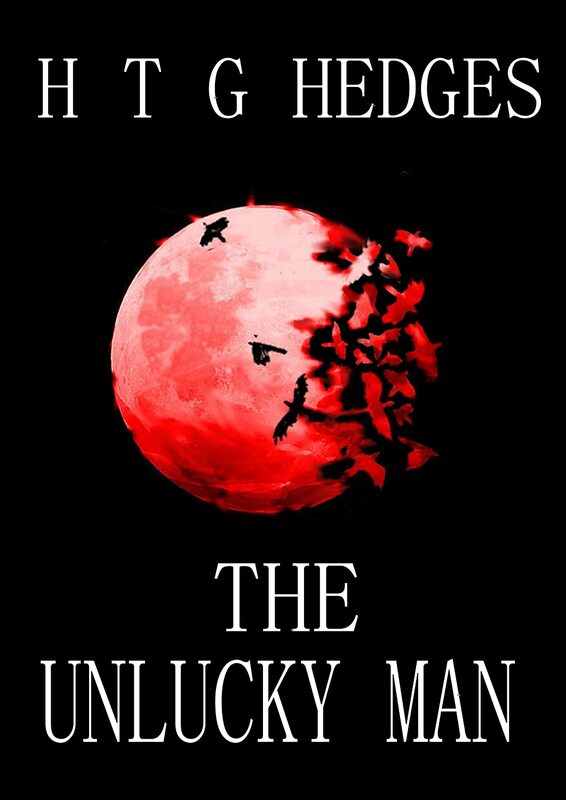 In his sleuthing, he takes on a missing person case that unwittingly puts him on the trail of a Mafia hit man, which, in turn, threatens to reopen the can of worms about his previous dealings with the Mafia. To avert this problem, the CIA reinstates Miller and sends him packing to Central America to make war on the Sandinistas. There, he builds a secret airfield, clashes with drug lords, and is the victim of a bombing. The man just can’t stay out of trouble. And the reader will enjoy every minute of it. Three of today’s top action novelists have high praise for The Old Spook. Nik Morton and Frank O’Neill rate it five stars; James Bruno rates it four. Charles Ameringer is professor emeritus of Latin American history at Penn State University, a former captain in the U.S. Air Force Reserve, and before beginning his teaching career served as an intelligence analyst for eight years with the U.S. Department of Defense. So where’s that manuscript you wrote but don’t want anyone to read? Is it back in the bottom drawer of your desk? Maybe in some hidden file on your computer that’s password-protected? Or maybe you haven’t even written it yet—it’s tumbling around and around in your head, banging on the walls of your cranium, trying to get out. 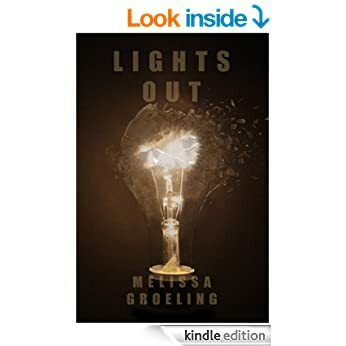 Lights Out was definitely that hidden manuscript for me. I’m not sure why I kept it locked up for so long. I kept trying out different excuses that sounded rational on the surface but deep down, only came across as scared and self-doubting. When certain family members got the word that I had a finished story in the bottom drawer of my desk, it’s perfectly appropriate to say that all hell broke loose. So in the end, I took out the manuscript, dusted it off, ran it through some serious slicing and dicing and sent it in. Even now that it’s published, it still makes me nervous. I don’t know why. I think all of us have a book we’ve written that completely wrings us out, leaving behind our limp, useless husks. We all have that book that makes us question why we write in the first place. But we don’t quit, do we? Because really, what would be the fun in that? This was the core of it. This was where it was laid bare to anyone with the gift of sight. This was where monsters were created, where they destroyed, where they broke the weak. There were no happy pictures here, no fantasies, no dress-up. This was for the ones who knew damn well what they were doing and didn’t care. They didn’t try to hide it with gifts and toys and ice cream. This was where the darkness was, omnipotent and cruel in its entirety and judging by the darker stains on the floor, irregular-shaped, dried, and brown, almost black, very few could harness it. Very few could survive it. Rage pulsed, abrupt and loud, inside of him. He turned in an endless, frenzied circle, the need so great now to find him, to get him away from all of this, to get himself away from all of this that Paul nearly missed the small voice from behind him. He spun wildly, almost blind with anger. His finger tightened on the trigger of the gun in his hand and he almost squeezed off a wild shot. Through his reddened vision, he saw the door in front of him, saw that the eye-slot was still open. It was a room full of fairies, the walls painted like a meadow. Little twinkling lights hung from the ceiling and he’d been pretty damn sure that the room had been empty when he first looked inside. He hit the door with a soft gasp and peered in. A little girl, no older than nine, sat on the bed, facing the door. She smiled at him, open and trusting. Her big brown eyes sparkled with youth and humor. Her brown hair was pulled back into a ponytail; wispy bangs hung in front of her smooth white forehead. She was dressed like a fairy, complete with shimmery wings, tights, and a dress that shone with blues and violets. The sight of her made him want to fall to his knees, the anger that had nearly consumed him just seconds before, crumbling beneath the weight of this small, fragile creature locked inside of a nightmare. She seemed to ripple as he stared at her like he was looking at her through plastic film. Paul wiped at his eyes, squinting, wondering if perhaps she was nothing more than a hallucination. Maybe she was something that his overtaxed brain had conjured up to keep him from making the wrong move. Her small, slippered feet swung freely above the floor, lightly bumping the side of the bed. The twinkling lights from above illuminated her smooth white arms. Her skin seemed to sparkle. Fairy dust, he thought numbly. Jesus, God. Paul felt like his heart was about to break. Her eyes were almost fever-bright as they drilled into his and Paul found himself backing away under the force of it. He half-stumbled, half-ran back the way he’d come. “Hurry up so we can play,” followed him down the steps and out onto the porch. Bile rose in the back of his throat. He leaned over the railing and vomited. I’ve been speaking with HM Flath and he’s been telling me all about his novel set in Russia. Here’s what he has to say. 1. Cobbled Life is a story about a conscripted soldier in 1908 Russia. How much of this story is fictional and have you used any events from this time, or interpreted other historical accounts that you can tell us about? * The Tsar’s desire to modernize and build up the Russian army in 1908 is real as he did not want to be embarrassed in battle. * The battles on the Eastern front between 1914 and 1915 along the Gorlice-Tarnow line are real. * The Russian Revolution of 1917 is real. * The existence of Pokovnik Constantine Vasiletvich Zaharoh is real. * The description of the immigrant ship and train are real. * The Flath family settlement in Saskatchewan is real. * Many of Otto’s personal experiences while in Russia and then also in Canada are real. * The dates are all real. – The conversations are fictional. * Some of the characters are fictional, ie. the Pokovnik’s family. * Clara’s family, the Jungs, and their background contains much conjecture on my part as I had only snippets of information. 2. Obviously 1908 Russia was a very tumultuous time, what does your leading character Otto, face as he travels on his perilous journey? Upon entering Russia, Otto was confronted with prejudices of language, ethnicity, cultural and social status which were underlying themes through the whole book. The dramatic tumultuous time for Otto began in 1914 with the outbreak of WWI. He faced danger, the horrors of war and the possibility of physical harm and/or death, loyalty in the face of danger, escape from Russia during the Russian Revolution, the tragic death of his mother and then the difficulties of life as an immigrant during the Great Depression. 3. What type of man is Otto and how does he develop throughout the story? being on the front during WWI, escaping from Russia, immigrating, etc. He grows into becoming a loyal devoted family man – strong and committed. 4. Are there any other significant characters in Cobbled Life you can tell us about? * Martin is Otto’s father and the man responsible for the first Flaths to emigrate to Canada. * Constantine Vasilevich Zaharoh, Pokovnik of a cavalry regiment in Russia’s third army, was Otto’s boss and mentor (father figure) for 9 years. Otto went to the battle lines on the Eastern front as the valet to Pokovnik Zaharoh. * Anya Oleshenko was Otto’s secret love who played a major role in several of Otto’s decisions. * Clara Jung became Otto’s wife. She provided strength and loyalty to their marriage and family and eventually became the mother to their nine children. * Gustav Jung, Clara’s father, was a strong, ambitious, solid patriarch of the Jung family whose choices lead to the emigration of that family. There are several. One of my favorite scenes is in Chapter 6 when Otto takes the Pokovnik’s daughter to watch the ice break-up in the spring. She fell backwards onto the bridge deck and lay there. Otto only had heard a small cry for help and quickly turned his attention to Natalie who was lying on the ground. Instantly, Otto fell to his knees and peered into Natalie’s face. He then sensed another presence. His eyes gazed up and not a foot away, he found his eyes locked to another set of the most beautiful soft blue eyes he had ever seen. Another of my favorite scenes is found in Chapter 11 when the Pokovnik spoke to Otto prior to their departure for the battle fields. 6. Who is your target audience – who will love this book and who should read it? My target audience is anyone and everyone who has emigrated or has family which has emigrated, experienced war, poverty, prejudice and/or bigotry. I especially hope that young people who often don’t appreciate their heritage would read and reflect upon the many messages interwoven in the fabric of the story. 7. 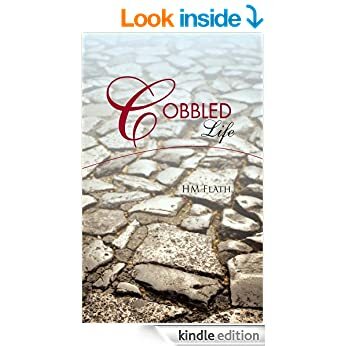 What do you want readers to come away with once they have finished Cobbled Life? I want the reader to leave with an appreciation of their own situation, an appreciation of the Canadian way of life and a debt of gratitude to their forbearers and to those who made Canada, as a nation, possible. 8. What is next for you HM Flath? I am presently working on a second manuscript. All that I would like to say is that it too, is historical fiction. 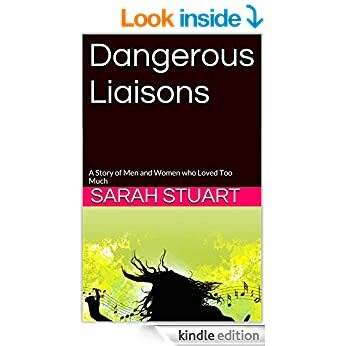 Today I have a book from author Sarah Stuart and what’s so special about this book – well people you can download it free today. 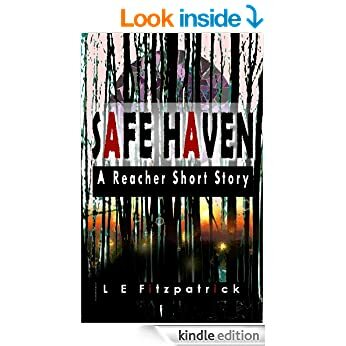 The promotion is due to run out soon so grab your copy from Amazon now. Dangerous Liaisons opens when Lizzie inherits a Book of Hours originally owned by Margaret Tudor, James IV of Scotland’s queen. She used it, as people often did in the sixteenth century, as a diary. The queen’s influence on her descendants, her own daughter and granddaughter, and in the twenty-first century, Lizzie, and her daughter Lisette, is the thread that ties the story together. The truth of who they are and what they do relies on how the dark past kisses the bright future of the theater in Britain and American Broadway… liaisons through love can prove dangerous at any level. God, she knew how to hurt, but the tigress was a thousand times more attractive than the supplicant. He pulled her onto the bed and silenced her with kisses… mouth… eyes… ears… neck… When he reached her breasts he tasted blood. Lisette closed her eyes. Tyrone, or someone before him, had been rough, and she feared it now. Never judge a book by it’s cover. But what about when that’s all you’ve got to go on? Today we are getting interactive. Leave a comment – even a simple hello – and one of you will be chosen to WIN an e-copy of the book on Saturday!